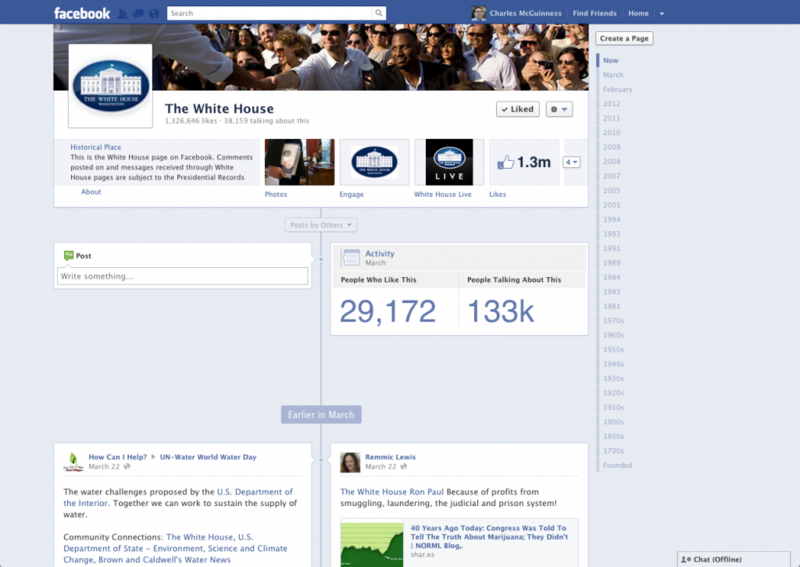 So much for discussions on the White House’s Facebook page! Call it a bug or a feature — but nothing after March 22nd is showing on the White House page on Facebook when you look at all posts. There had been a very (very!) lively discussion that took place on that page (for as long as I can remember), and that discussion is dead now. This entry was posted in Breaking News, Facebook by Charles McGuinness. Bookmark the permalink. It’s kind of back now — I can see 12 hour old posts…. So it’s probably a bug.